We provide WordPress training courses in Cork for anyone looking to build a website/blog or want to update the content of their existing website themselves. The WordPress training is available for individuals, groups or even if you wish to train a member of staff to take care of your website content. The training provided requires no prior knowledge of the WordPress content management system and will teach you the fundamentals of using the WordPress platform to create, edit and update your website or blog. Some of the areas we look at are the creation of web pages and including them in the main menu, publishing blog posts and have them appear on your blog page as snippets, customising your website or blog with both free and premium themes, use of widgets, adding media and editing text and enhancing your WordPress site by installing various plugins. In addition, we will show you how you can optimise the speed loading times of your website, optimise your website keywords to be found in the search engine results page (SERP), adjusting the settings and installing plugins that can keep your website safe and secure for the future. Content Management System or CMS for short, is a program that is 100% web-based, therefore you don’t need to install any software. A Content Management System allows a person without any programming experience to update and maintain the content of their website. Having a nice website is very important, however keeping your website content updated and current is far more important and with some many users now using smartphones and tablets it is very important to have a website that is optimised for all internet connected devices. The WordPress training provided by Baldwin Digital is best suited for beginner users, whether your a small business owner or sole trader looking to maintain the content of your business website yourself. We provide this training on a one to one basis. As we provide this training on a one to one basis, we do not provide certification after the training has been completed. The training is provided to solely help small business owners or sole traders to get trained up on WordPress in a cost effective way without procuring heavy costs due to offical courses and certification. The training is charged on an hourly basis and travel time is taken into account also. You can decide to meet at your place of work, a convenient place nearby or travel to meet the trainer in our office in Midleton, Co. Cork to save you the cost of the trainers travel time. The duration of the training usual takes between 4-8 hours depending on the individual’s current setup and knowledge. This can be arranged either over two half days or one full day but we do recommend two half days. 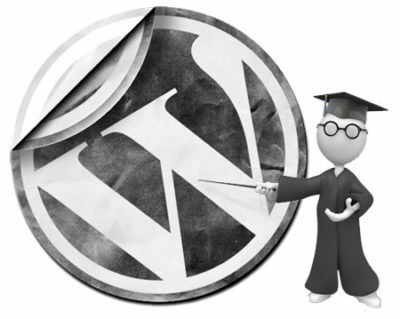 Do you wish to enquire about our WordPress training services? Get in touch with Baldwin Digital today, we'd love to hear from you. Just click on the button across and provide us with your details.